Ava's very first road trip. That's Mount Robson reflected, and she is SO excited. Remember road trips with your family as a kid? I do. It was always very exciting except for the part where my dad made us get out of bed at 4 a.m. so we could be in line for the first ferry in the morning. Yup, the joy of living on an Island in those days (pre-Confed Bridge) was having to wait in line for the 6 a.m. ferry to the mainland. Yeesh. Anyhow, we rarely travelled all that far, maybe to Lunenburg to see the boats, or Cocagne for the boat races (see a boat theme here? ), or even to Cape Breton to do the Cabot Trail. My husband remembers driving from British Columbia to Manitoba every summer. He claims his dad told them to go to the bathroom at home 'cause they weren't stopping again until Manitoba. Now that we have our own children we know the frustration of having a small but demanding voice coming from the backseat every half-hour, "I have to peeeeeeeeeeeeee!" We are planning trips to both coasts this summer, so we are in full prep mode now, especially from a mental perspective. Confederation Bridge...much easier than waiting for the ferry. Accept the fact that you have to stop a lot and it will take at least 2 hours longer than you plan. Make a playground the destination. Make sure every place you are headed has a playgound. And pretend that is your major goal in life, to get to the next stop so that you can go to that playground. Somehow they will endure hours of driving for some monkey bars. I swear we could write a book entitled "Playground tourism for Dummies." We don't have DSs (DSesses??). No video games. But I stock up on lots of books from the Sally Ann or library book sales for the girls. No library books on holidays so they don't get left somewhere. We also bring MP3 players for each girl, loaded with lots of their own tunes. Taylor Swift, Walk off the Earth, One Direction, some clean Pink, Josh Groban, some fiddle tunes and Irish Rovers. Eclectic. We also pack lots of drawing pads, coloured pencils and doodle books because they can draw for hours. When in doubt, give snacks. Lots of fruit, nuts and something treat-like. Road trip food like corn nuts or popcorn or (GASP) junk food. I always have to have corn nuts and cream soda on road trips. If you're feeling a little crazy and you think you might scream if one more person asks "whennnnnnn will we be there?" just remember, your children will grow up and refuse to go on roadtrips with you. Enjoy! Be silly, and laugh. You will all feel better. Camp or stay with friends with kids along the way. That way the trip itself is part of the fun. It's not just about the destination, it is all the fun stops as well. Plus the kids can entertain each other while the grown-ups crack a cold bottle of wine and catch up on life. 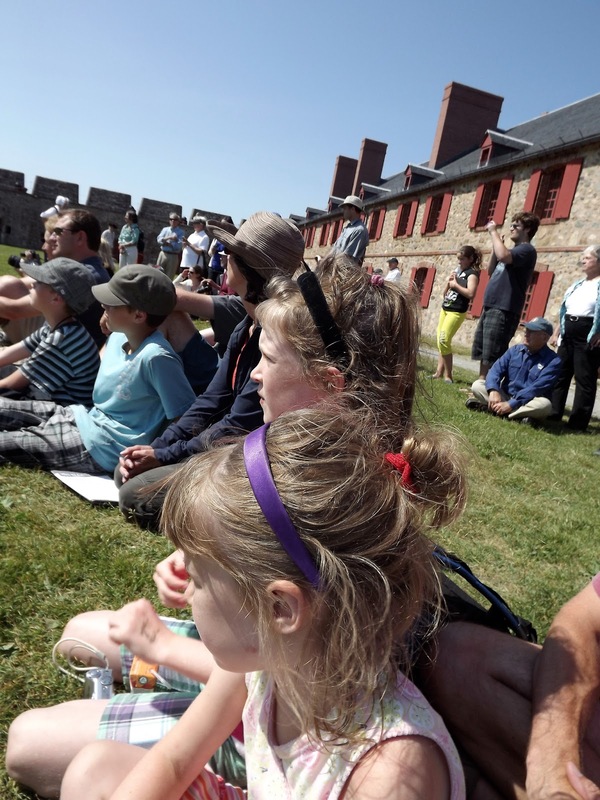 National Parks and Historic sites are SO great for families. 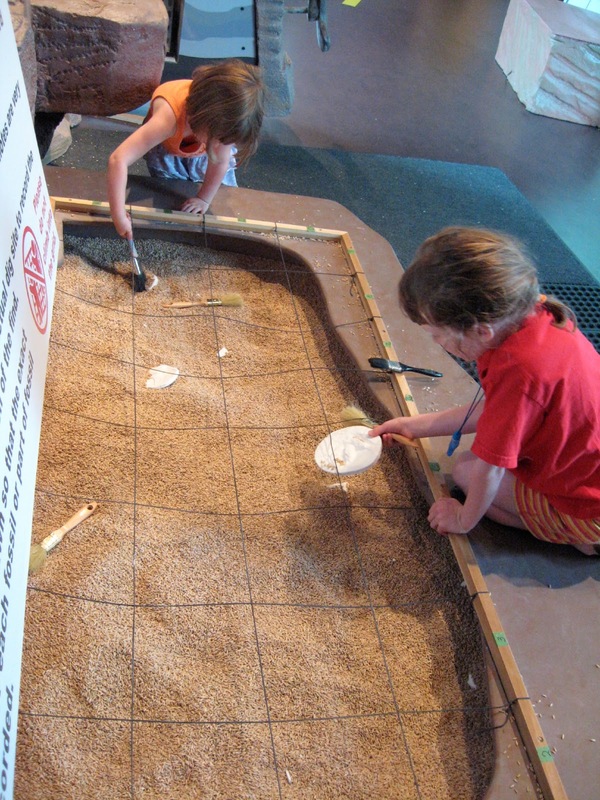 They have wonderful programs to engage kids, and lots of fun things for everyone to do as they enjoy nature and learning. I know, theme parks and water slides are fun (for about 10 minutes), but nature is the ultimate theme park. Last year we bought a national park pass that let us into every park and historic site in Canada, and it was well worth it. Make every day a stay-cation. This is my first summer of being totally off, full-time parenting for the entire season. And I am ready. Rainy days call for trips to the library, where there are always lots of activities as part of the Summer Reading Program. Sunny days mean picnics at the park, playground tours (we make it a goal to visit each one in the city), and this summer it will be trips to a lake since the ocean is currently thousands of kilometres away. Swimming lessons are also on the list. Take the kids for a hike in the woods, find a stream, sit back and relax. 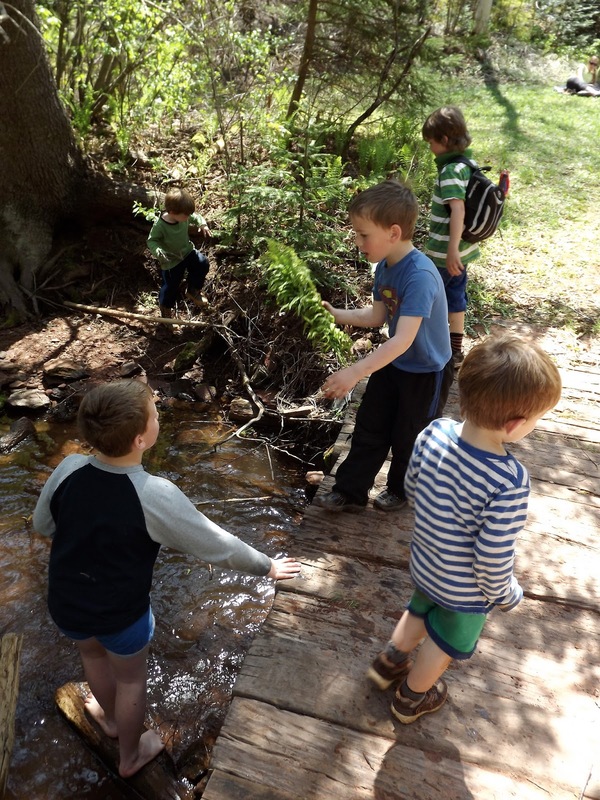 It is amazing how much fun children can have with a few sticks, some birch bark and some free-flowing water in a sun-dappled forest. If you've got a GPS and lots of junky doo-dads, you are all set for this amazing outdoor activity. 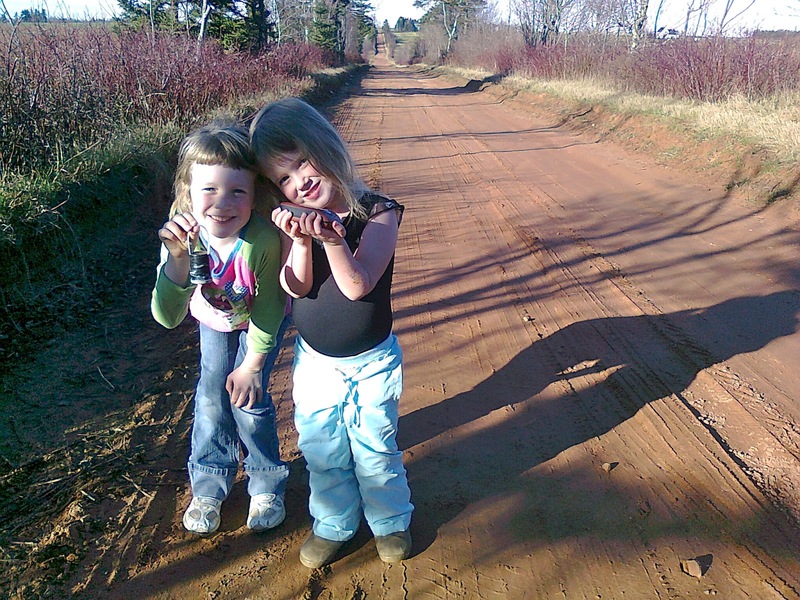 Everybody loves a treasure hunt, and there are literally hundreds upon hundreds of geocaches in every province. We have a little bag of goodies (called swag in geocaching language), so when we find a cache we can swap for whatever little item in the cache the girls want. Check out geocaching.com to download coordinates for caches wherever you are. There is nothing better than sleeping outdoors. Really, I mean it. It just may not seem that way when you have to get up in the middle of the pitch-black night and stumble to the nearest comfort station (ie. bathroom) with a child who needs to pee and flatly refuses to do it behind the conveniently located tree beside your tent. But camping is a parade of awesomeness. Stay up late, eat beans and wieners, roast marshmallows on the campfire and listen to the crickets. Have some lemonade and freezies. Enjoy this oh so short period of time when your children are so young and full of imagination and joy and enthusiasm for the world around them. If we could all adopt that attitude, to approach each moment with the trust, optimism and fresh outlook of a child, summertime becomes all it is meant to be. A time to refresh, to soak up nature, blue skies, good food eaten outdoors, and time to reconnect as a family. If all else fails, go fly a kite. If I can risk sounding like an Old Fart or one of those annoying women in the grocery store who urges you to enjoy every moment, I want to add: Look for the joy in it. Mine are now teens. I miss the summer trips we took when they were young. Of course there were many, many moments that were not filled with joy--but mostly what I remember now are the ones that were. This post took me back to them. It really does go so fast.